Wits students continue with lectures - SABC News - Breaking news, special reports, world, business, sport coverage of all South African current events. Africa's news leader. Students are demanding free and quality education for all. On Monday, a small group disrupted six lectures. The students are demanding that those who owe less than R100 000 be allowed to register. However, the university says it can only allow those who owe less than R10 000 to register. The protesting students have brought their blankets and duvet covers to the Solomon Mahlangu Hall for a camping session. Some are on a hungers strike. After singing and chanting some are lying on top of their blankets at the centre of the Hall. A handful of others are just standing around with private security guards keeping an eye on them. Meanwhile, calm has been returned to universities across KwaZulu-Natal. 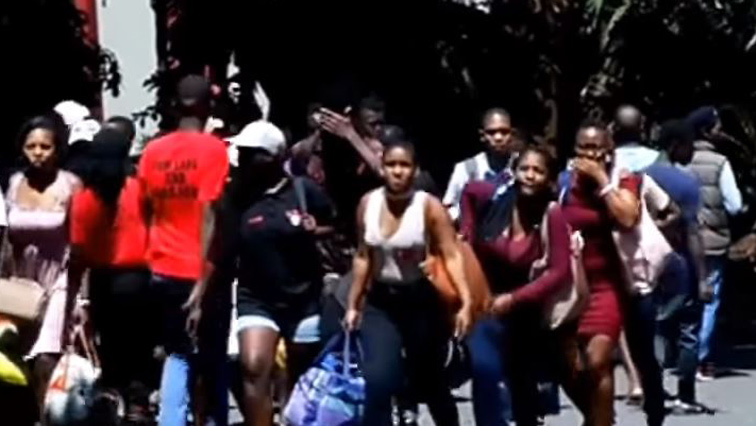 This after violence erupted on campuses belonging to the University of KwaZulu-Natal on Monday. Students are demanding free and quality education for all. They also want students to be allowed to register without having to settle outstanding 2018 fees. Academic activities remain suspended at UKZN and the Durban University of Technology however lectures have resumed at the Mangosuthu University of Technology (MUT) in Umlazi, south of Durban. MUT vice chancellor Enoch Malaza says, students are queuing to submit banking details for NFSAS funding. This entry was posted on 05 Feb 2019,12:45PM at 12:45 PM and is filed under South Africa, Homepage Featured Story Slider. You can follow any responses to this entry through the RSS 2.0 feed. Both comments and pings are currently closed.